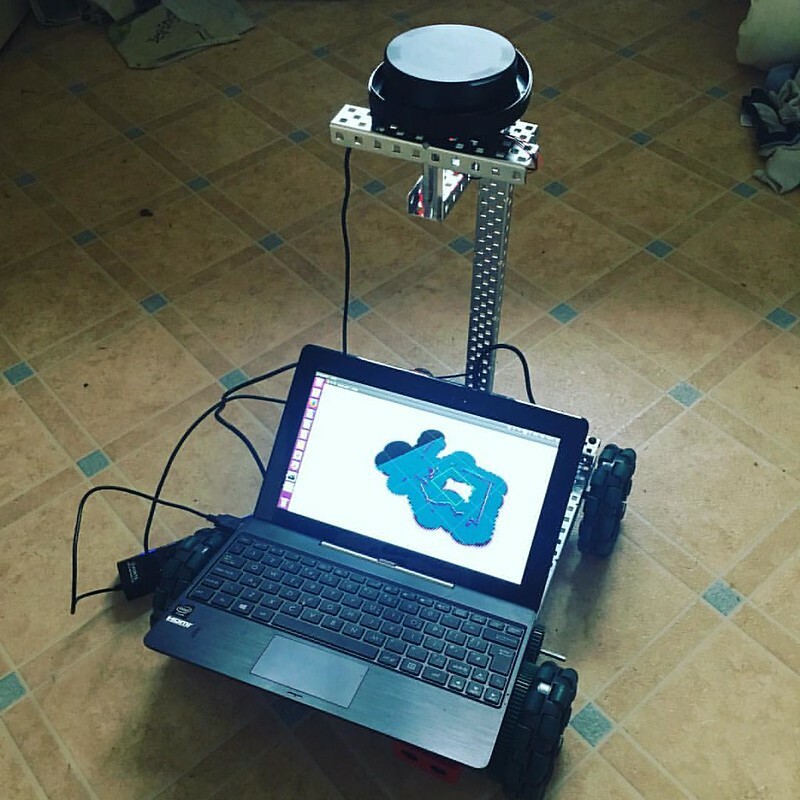 This was my first experiment using ROS (Robotic Operating System) The idea was to make a self-driving tank using VEX EDR as the building platform, ROS for software and a Lidar sensor. 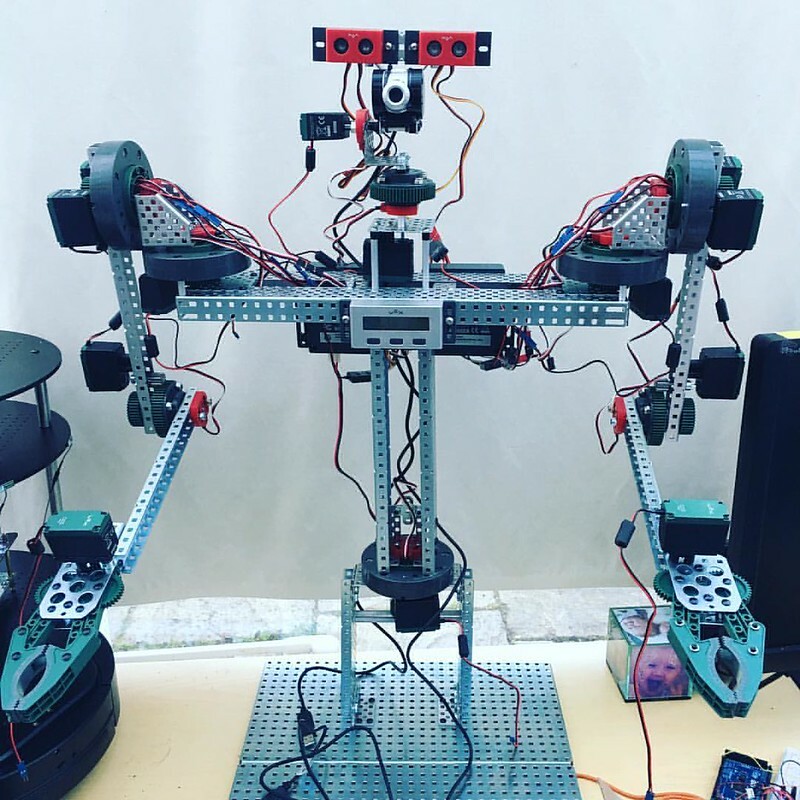 So the aim of this project was to learn more about the maths of robotics. I had to code everything for this robot in C so that given an XYZ in space, the robot could work out how to move its arms to reach that object. A lot of trigonometry was used! This was one of my most fun project in LEGO and was invited to a TEDx event in London. 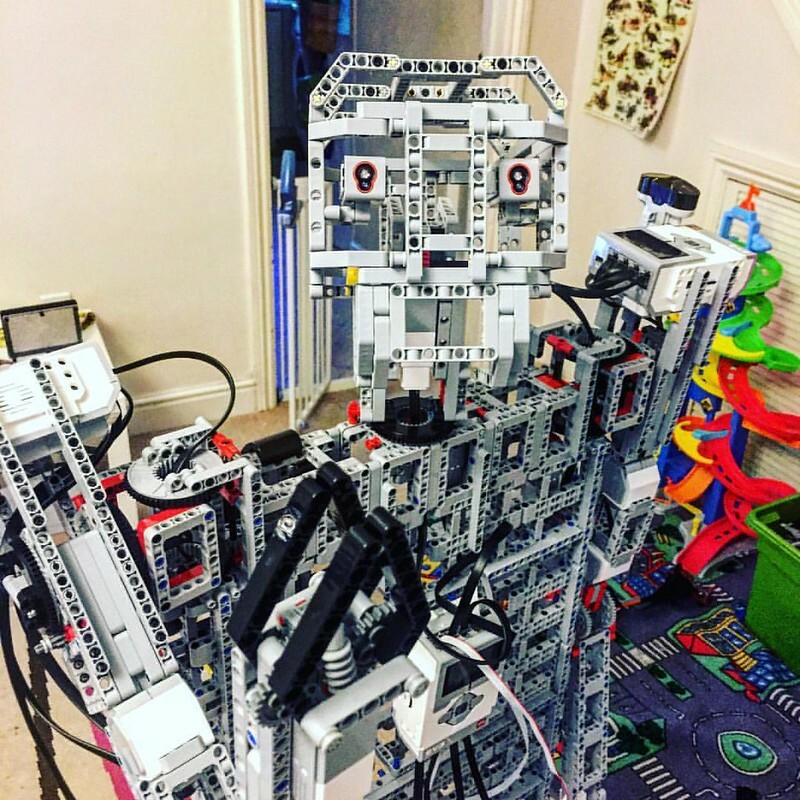 I built this robot for the LEGO charity event organized by FairyBricks called Bricktastic. It’s main job was to greet the visitors as it could talk. !